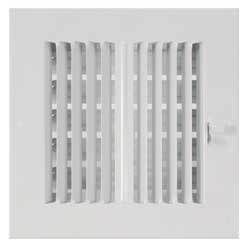 Registers and Grilles are the outward facing component of the HVAC system which not only direct the airflow but also hide the less than visually appealing ductwork. Registers are equipped with a damper which opens or closes to control the flow of heated or cooled air that is supplied to a room. They can be floor, ceiling or wall mounted. 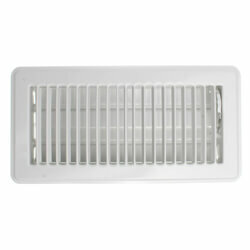 Grilles are used as return air inlets to ducts but do not come equipped with a damper. These can also be side wall, ceiling or floor mounted. Commercial registers and grilles are available for more rigid commercial applications. 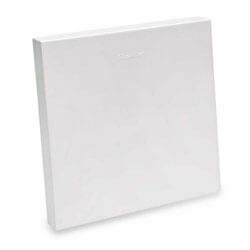 Commercial diffusers are ceiling mounted and used as supply air outlets. Baseboard registers also supply heated or cooled air to a room. 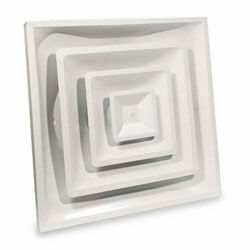 They direct and circulate airflow onto the walls and can easily be installed over floor moldings. 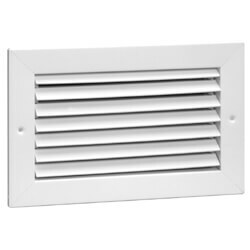 Baseboard mounted grilles are used as return air inlets to ducts. 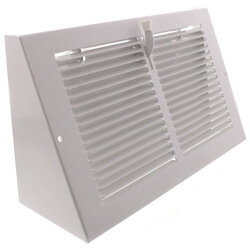 Vent covers by Elima-Draft provide additional comfort and energy savings. They are insulated magnetic covers that help eliminate air drafts and heat loss in homes. 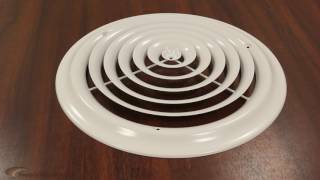 We carry a variety of registers, grilles and diffusers manufactured by one the world's renowned leaders in air distribution products, Hart & Cooley.